Ronald Rutherford-Triche is of counsel at Groom Law Group, Chartered, bringing 20 years of experience in the practice of employee benefits law to the firm’s plan design and taxation group. His practice focuses on qualified plan issues, including cash balance, traditional DB, 401(k), and tax-exempt work, for both plan sponsors and recordkeepers. 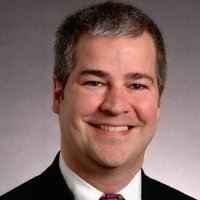 Mr. Rutherford-Triche has extensive experience with design and implementation of DB and DC plans and trusts, plan administration and fiduciary duties, and QDROs. He has also advised clients on deductibility of contributions, payment of expenses with plan assets, disclosure of plan fees to participants, and compliance with requirements of applicable laws, including the Sarbanes-Oxley Act, the Code, and ERISA. Prior to joining Groom, Mr. Rutherford-Triche served as General Counsel of NAPA & NTSA and Director of Government Affairs of ASPPA, where he drafted summaries of agency guidance, prepared and revised proposed legislations affecting DB and DC plans on both the state and federal level, and managed government affairs committees for NAPA and NTSA.